Over the past 30 years, we’ve fine-tuned our Australian educational travel programs to ensure they exceed your expectations. All of our tours are curriculum-linked and specifically tailored to suit the learning outcomes, year level and any other needs of each group. 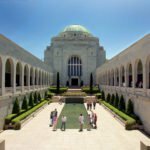 Participate in a historic debate re-enactment to understand the way voices are heard in a democracy in the ‘our voices, our choices’ program at the Museum of Australian Democracy. Delve into the thrilling history of Australian sport and test your abilities with fun interactive exhibits at Sportex. Sift for gold and take part in historical re-enactments at the Sovereign Hill open air museum. Discover the story of the Eureka Rebellion during the ‘Blood on the Southern Cross’ light and sound performance. Unpack suitcases filled with artefacts that reveal the fascinating stories behind migration to Australia in the ‘Leaving and arrival’ educational program at the Immigration Museum. 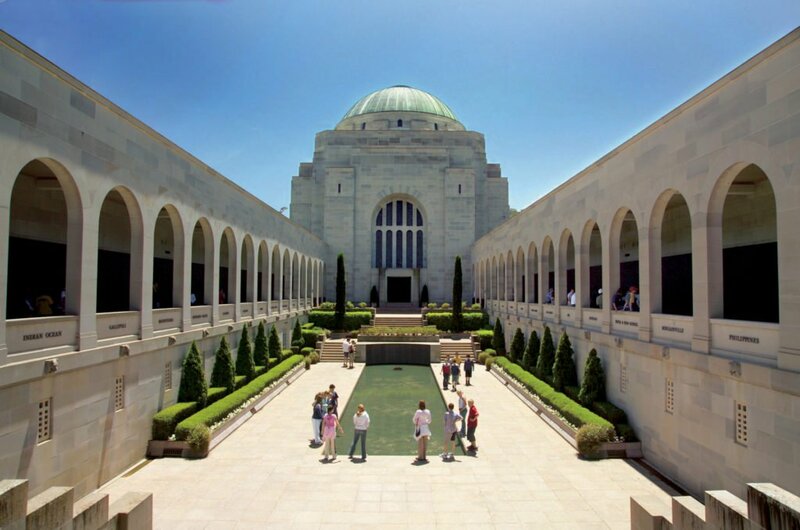 Discover what life was like 100 years ago for WWI soldiers and nurses, during a multi-sensory tour in the Spirit of ANZAC program at the Shrine of Remembrance. Learn about the planets of our solar system and the magic of space travel at the Deep Space Communication Complex. Discover first-hand how our electoral system operates in a 90-minute educational program at the Electoral Education Centre. Uncover the secrets of a 19th century penal colony as you explore the heritage-listed Port Arthur Historic Site. Enjoy a guided tour of Australia’s largest dolomite caves and their richly decorated chambers, which began forming tens of millions of years ago. Experience traditional Aboriginal culture and get creative in interactive visual art, dance and music workshops in the Walangari Aboriginal Program. Examine and discuss artefacts of daily life in the 1800’s during a simulated archaeological excavation at The Big Dig Archaeological Education Centre. Experience the rush of a flight simulator and explore the central control room of the Royal Flying Doctors original working base. Listen to dreamtime stories and experiment with dot painting in the Lilla community cultural immersion program, a remote Aboriginal community. Confront the consequences of marine pollution and see how sick and injured turtles are treated at the Great Barrier Reef turtle rehabilitation centre. Kayak along Bulgan Creek with an Aboriginal guide and hear stories about the incredible spiritual connection our ancestors shared with the land. Experience the breathtaking natural beauty of Tasmania’s coastline as you kayak into the Freycinet Peninsula. Explore abstract and modern artworks at Australia’s largest privately funded museum, the Museum of Old and New Art (MONA). At WorldStrides, we recognise that each year level is at a different stage of development. From understanding the basic principles of democracy to experiencing Aboriginal culture through hands-on activities, we’ll find the learning activities best suited to your group. Speak to our domestic educational travel experts to find the perfect program for your group.